Textile House: A Halloween Giveaway at the Pumpkin Patch! I needed to post about this ASAP because I don't want to be the last one to put it out there!! Pumpkin Patch Primitives has a Halloween giveaway to die for (no goulish puns intended). Red Rooster's Pumpkins n Spice Fabrics by Whimsicals. Oh.. I'm sorry... make that TWO FQ bundles. 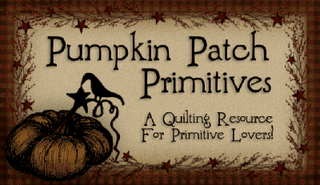 the Pumpkin Patch Primitives Quilt Shoppe!! I have seen these fabrics up close (Got to fondle them a bit too) and I will say they are GORGEOUS!!! So you have to jump on over there and throw your hat in by BLOGGING abut it. It's the only way to get a chance to win! You need to blog about it. And then tell Brenda that you heard about the giveaway through Sandy @ Textile House. 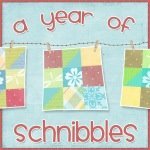 This means I get a few extra entries so say I refered you and maybe we both can walk away with a little something!! 0 comments on "A Halloween Giveaway at the Pumpkin Patch!"